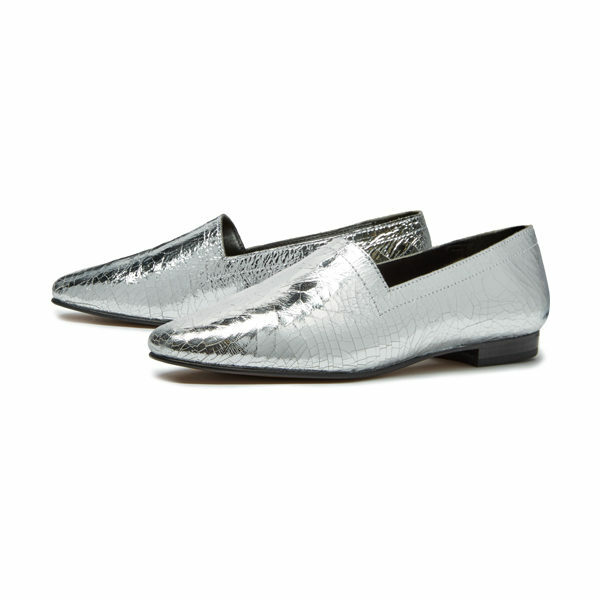 High-shine is the name of the game with Silver Foil No14s, dramatically lined in black with matching heel and edge. 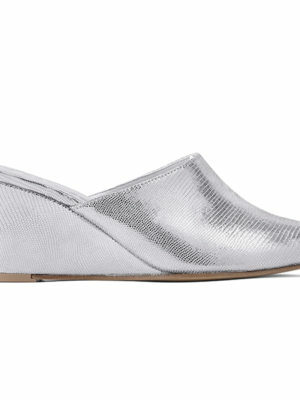 Anchor monochromes to ramp up the drama, or ground soft greys and neutrals for day-time lustre. 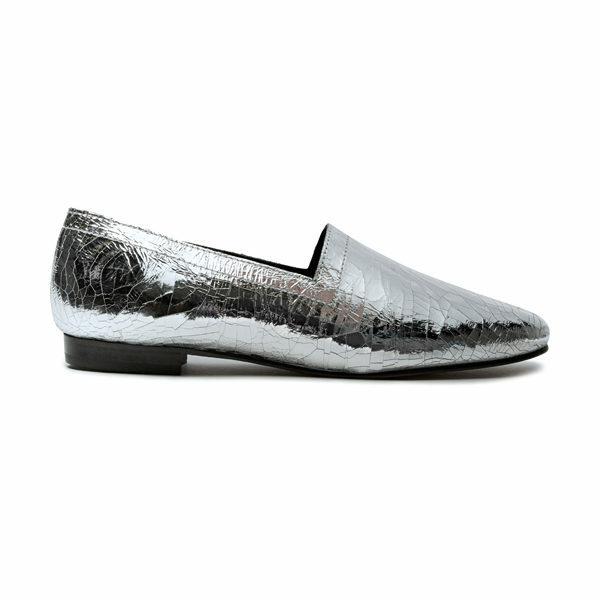 A bewitching metallic to steal the spotlight. 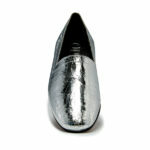 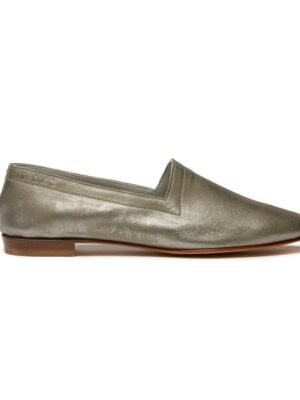 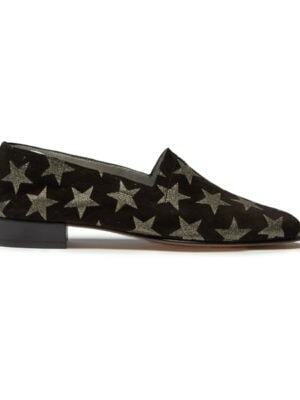 The No14 is a lined version of our signature No10 flats. Like all of our shoes, it is designed for day-to-night style and wearability – handmade in Portugal from the finest leathers with a lightly cushioned sole. If you are between sizes or prefer a less-snug fit, go a size up.